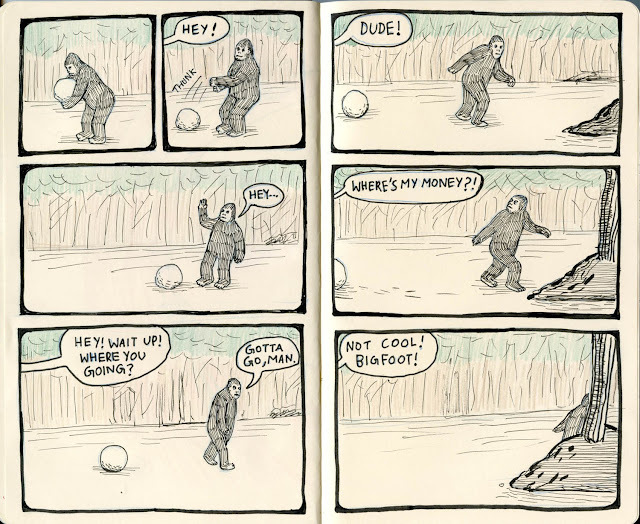 AbeDraws: Day 32: Bigfoot owes money! Day 32: Bigfoot owes money! Since the Roger Patterson Bigfoot footage doesn't have any sound, we can only imagine what was being said. Today, we have a comic depicting what words may have been exchanged. Good night, all!